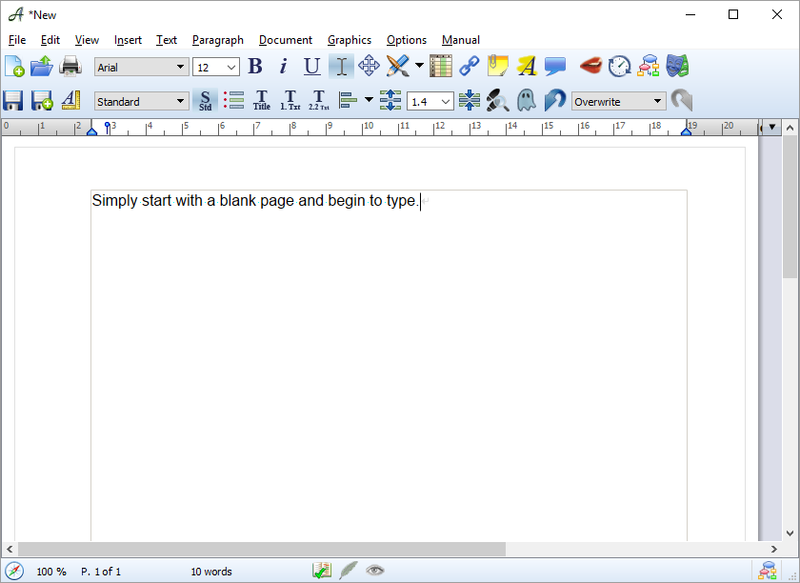 A blank page–just one click ( ), and you can start writing. Click on the “Create New Document” icon in the toolbar. Save the document under a new name, so your progress is safe. Papyrus will by default automatically save backups for newly saved files. Advantage: This easy method is fast. You can always make changes later. Disadvantage: An “unstructured” start. If, while you are writing, you decide you don’t like the look of the text, you will have to go back and make changes. Would you like more? Then use one of Papyrus‘ “sample” documents and choose a “template” as a starting point. Or you can also start a “project,” which will organize your files and provide you with additional useful documents.